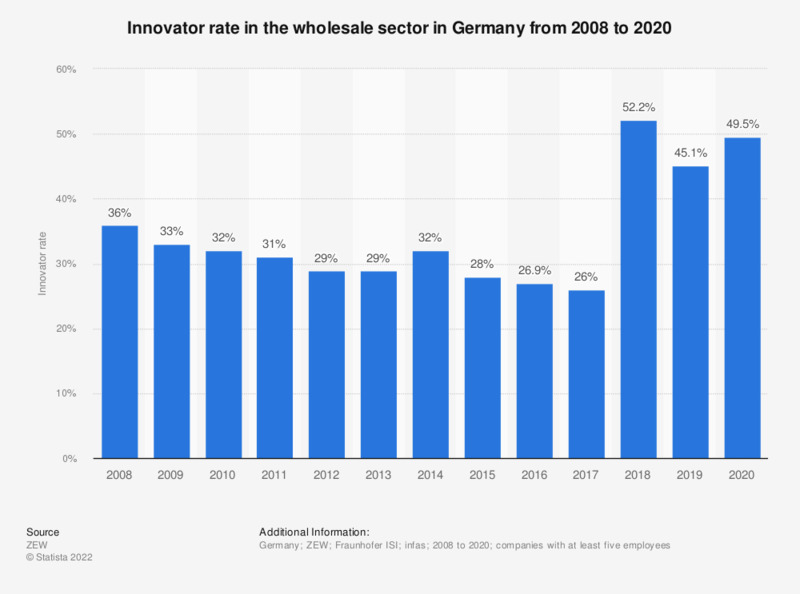 This statistic shows the innovator rate in the wholesale sector in Germany from 2008 to 2017. In 2017, the innovator rate in the German wholesale sector was roughly 26 percent. The innovator rate refers to the share of companies that successfully completed at least one product innovation within the past three-year period, regardless whether or nor the same innovation was previously released by another company.